The signal has been sent. A plan was hatched and wheels are in motion. A van tears down the road, a plane takes to the sky, its precious cargo bound for parts unknown. Falling somewhere on the spectrum between novel and video game, DEVICE 6 is a text-based iOS adventure where you are both a reader and a participant, a puzzling interactive mystery playing out in the palm of your hand. A smartphone or tablet is the last place you’d expect to find a title sequence, but Swedish game developers Simogo recognized it as the perfect method to introduce players to their strange and surreal virtual world. Invoking the audiovisual language of the early 1960s, the sequence conjures up memories of Hitchcock thrillers with strong lines and bold type in motion. Daniel Olsén’s cracking score —which would not be out of place on a television show starring Patrick McGoohan or Diana Rigg — functions in a similar way, setting the tone and triggering thoughts of Cold War action and intrigue. The DEVICE 6 opening is immediately enticing, propelling players forward, inviting them to discover the game’s many secrets. Please swipe to start the simulation. 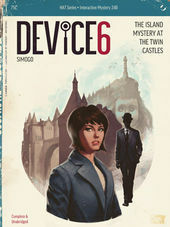 A discussion with DEVICE 6 director and co-writer SIMON FLESSER of Simogo. Could you give us a little background on yourself and Simogo? 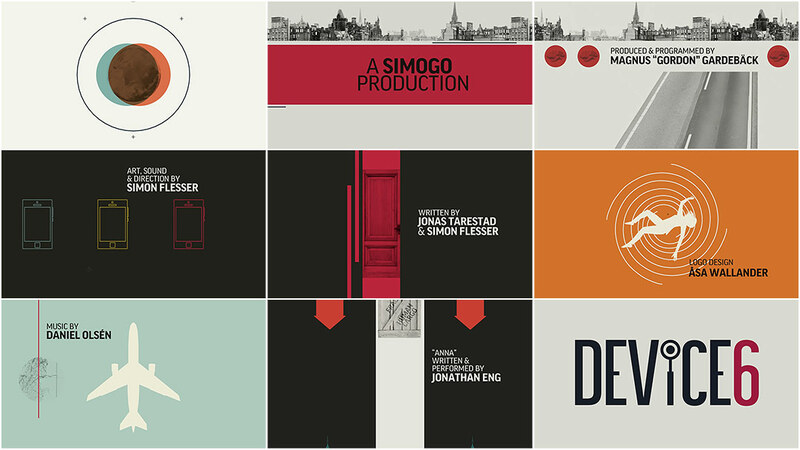 Simon Flesser: Simogo was founded in 2010 by me and Magnus “Gordon” Gardebäck. We had worked together at a game company here in Malmö for a few years before deciding to start something ourselves. Before that I worked with animation at a VFX company and Gordon had worked with security systems. DEVICE 6 is unique for an iOS game in that it’s a mostly text-based and also because it has a title sequence — something we normally see only in movies and AAA video games. When did you decide the game needed a title sequence? We knew it needed one even before starting the project. Even though the game doesn't take place in the 1960s, I wanted it to have a very strong late-60s, Cold War vibe. So having a title sequence and a really ”oomphy” theme song was part of the plan very early on. So, how did you want it to work? What does the title sequence do for the game? Mostly, the title sequence sets up the vibe we were going for, but we also wanted it to tell the backstory. So while it might just seem like a nice visual thing happening the first time you see it, the titles tell the backstory of how Anna ends up on that strange remote island. It fits nicely, because the overarching story begs to be read more than once – to be pieced together. 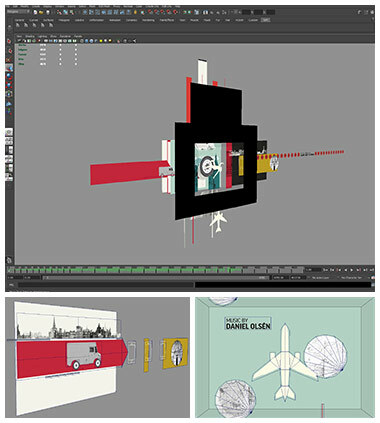 What were some other concepts you had for the title sequence? The last bit of the sequence was quite inspired by that, with every syllable showing up timed to the beat. But after deciding to include the credits and make a proper title sequence, we actually didn't stray far from the first scribbles and the first animatic. What else were you inspired by? Visually, the game is very inspired by designers like Sam Suliman, Neil Fujita, that kind of thing, so that of course bled into the opening too. The Prisoner opening is definitely a huge inspiration. It does a great job of telling the backstory and the music is fantastic. Parts of our sequence are actual homages: a rushing car on its way to something, the bits where you see London-like cityscapes, and the arrival at the door. Daniel Olsén's theme was very inspiring too, of course. It was the first track Daniel created for the game. It might have been made even before development started. Daniel had made a lot of these very odd, spacey synthesizer sounds, that inspired not only the hypnotic scaling circles, but also the the first scene in which we see signals being transmitted from Earth. I knew I wanted to match things to the beat quite closely, so it was important that the track was more or less finished before I started creating it. The sequence runs in real-time in the game engine. How difficult was it to get the sequence to run well – with reasonable load times, good frame rates, etc. – across the wide array of iOS-based hardware? 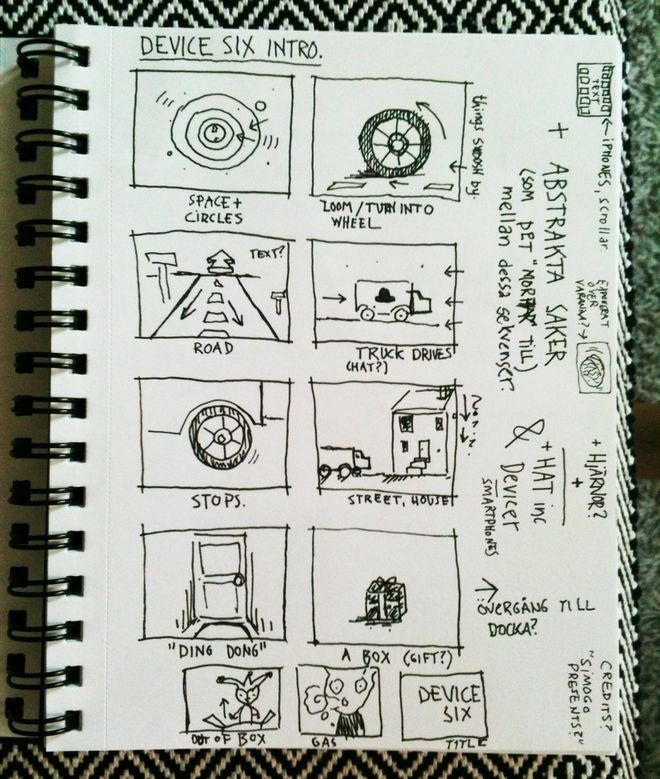 It's all one long animation, so I needed to plan ahead a little more than I usually do. I made a quick animatic to have a rough estimate on how many different “scenes” I'd need, then I'd create concept “stills” for every scene in Photoshop – only, they weren't actually concepts, I used the art I created in those for the animation. As for loading times, that was never a problem because the sequence in itself is very small. It's just one sound track, three textures, plus half a texture for the giant logo, and the animation file. 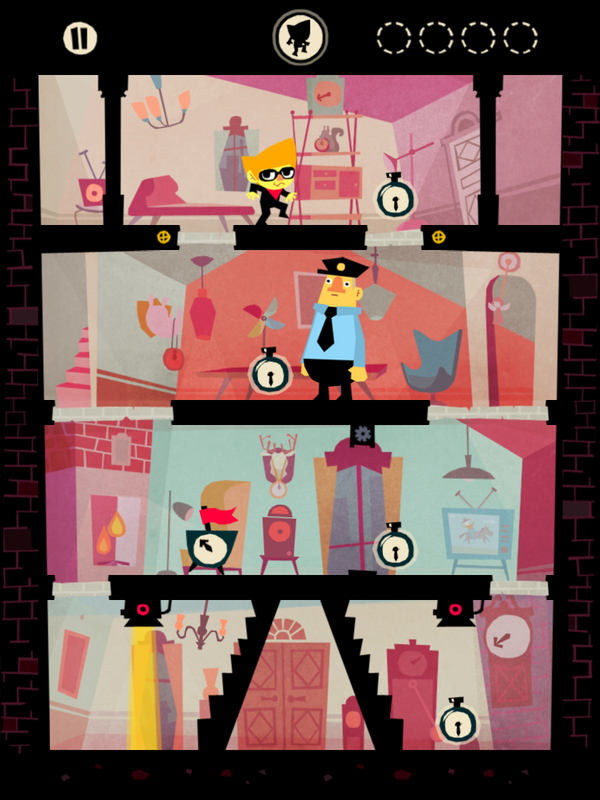 A screenshot from Beat Sneak Bandit, a 2012 iOS game by Simogo. As it needed to match the beat, it was crucial to make sure the framerate didn't dip, so we had to keep it simple. And if it did dip, we had to make sure that the music and visuals didn't go out of sync. We could use our experiences with beat-matching visuals from Beat Sneak Bandit, in which the actual sound is driving the animation. Did anything take you by surprise while working on this sequence? Good question. I think it was surprising how quick it was to make. It took me about three or four working days to produce, and then another day to get it running fine within the engine, squashing a few bugs and such. I’m happy that we could achieve so much with so little. There's basically no visual effects or anything, just animated cut out elements. I’m also happy with the interesting contrast to the rest of the game, which is very slow and thoughtful. I find that interesting. I created a quick animatic in Premiere, but for the actual production I used Photoshop and Maya. So it's basically an animation file from Maya that runs on Unity. Unity is a cross-platform game engine with a built-in IDE developed by Unity Technologies. It is used to develop video games for web plugins, desktop platforms, consoles, and mobile devices. You mentioned Danger Man and The Prisoner as influences. What are some of your personal favourite title sequences? I quite like Vertigo – it's just beautiful, really. The color version of The Saint is super nice too. I really liked the one for the Tintin movie, which is way better than the actual film, I'd argue! I'm not sure the Inspector Gadget opening qualifies, as there aren't really titles in it, but I've always been big fan of that opening. Where do you see title design going with respect to video games? Do you expect it to fall in line with what’s being done in other mediums or do you think it will diverge and take advantage of the interactivity that games offer? 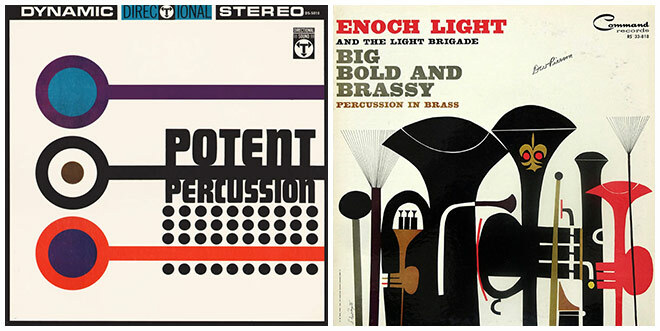 Could you play a title sequence? I think there could definitely be something fun explored by making them interactive. I'd love to see more games have real nice introductions like that. It can really help to set the tone. Our ending credits for DEVICE 6 are actually somewhat interactive, as they just sort of float into the the actual game. And outside of game development, what are you into? What's exciting you lately? Nice books, at the moment! I really enjoy the beautiful books from Taschen, and it's always a treat to browse their store in Copenhagen. 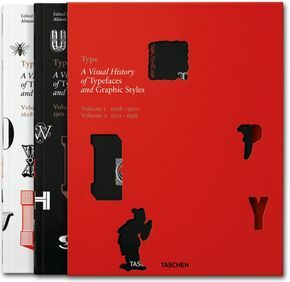 Some of my favourites include Alex Steinweiss – the inventor of the modern album cover, The Fairy Tales of the Brothers Grimm with those beautiful vintage illustrations and Type – A visual history of typefaces and graphic styles just to name a few. I also enjoy finding lovely used books. Currently enjoying some kind of school textbook about naval navigation and An Explaining and Pronouncing Dictionary of Scientific and Technical Words which DEVICE 6 co-writer Jonas Tarestad got me. What we are working on now is another iOS title which involves dreams, oceans, and memories.